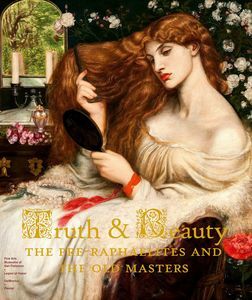 Travel to Truth and Beauty: The Pre-Raphaelites and the Old Masters exhibition at the Legion of Honor in San Francisco. 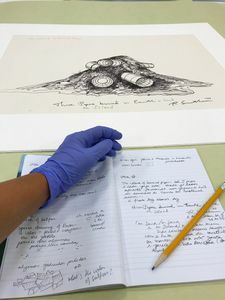 The exhibition visit formed an integral part of a four-part in-class series on Tolkien’s artistic sources. Beginning with Beowulf and other Norse and Anglo-Saxon texts and moving through the visual art that he would have encountered in London, Oxford, and on his continental travels, much of which is shown at the Legion of Honor exhibition. Seeing the art in person, from Van Eyck’s stunning commentary on the incarnation (Annunciation) to William Morris’s Kelmscott Chaucer, was an invaluable benefit to the class. The fruits of the visit were be reinforced in mid-November, when the class welcomed Tolkien expert Dr. Holly Ordway to discuss her new and groundbreaking work on Tolkien’s modernist impulses and particularly the influence of William Morris. 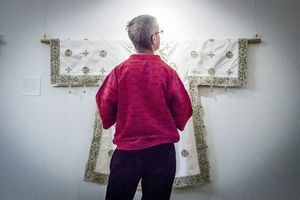 Queer(y)ing (into) Jewish Diaspora(s): Non-Zionist Imaginaries, an eight-night multimedia art exhibit and performance series taking place from May 4 - 11, 2019 at Omni Commons, Oakland. Travel for MA thesis, Guatemalan Dia de los Muertos and Ephemeral Art as Grieving. Travel to conference to give paper, The Historical Relations of Our Ecological Crisis: Theology, Colonialism, and Capitalism's Logics. Travel to conference to give paper, An Entangled Perception: Nora Naranjo Morse's Indigenous Aesthetics. One-on-one interview for on-going research project entitled, William Blase Schauer, O.P. and the Las Cruces Experiment. The Center for the Arts & Religion is pleased to offer grants (up to $2,000) in support of projects that center on religion & the arts. Projects might include travel to a conference to present a paper or to conduct research, funding to assist with an art workshop, or fees related to a theatrical performance. Student projects are more likely to receive funding if linked directly to a student's progress toward a GTU degree or certificate program. Please note, priority is given to Graduate Theological Union students. Doctoral students are the highest priority, followed by MA, and MDiv. As a policy, CARe/GTU grant funds cannot be used to fund student immersions, the purchase of equipment (e.g. cameras) or child care. Who is eligible? The application process is open to all GTU students, faculty, and staff. Previous grant recipients may apply for new or follow-up grants, though CARe's preference is to support first-time applicants. Application forms must be fully completed and electronically submitted to care@gtu.edu. Late or incomplete applications will not be accepted. Each application will be carefully considered by the CARe Grants Commitee, and notification will be provided within 6-8 weeks. Requirements? Awardees should reference GTU/CARe in presentations, publications, and promotional materials. 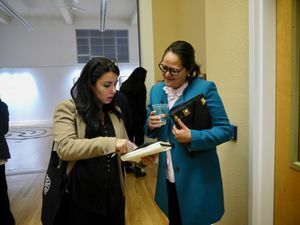 Awardees are required to provide a short presentation as part of CARe's "Brown Bag", lunch series (first Friday of the month) and/or to submit a blog post for this website. If, for any reason, the project cannot be undertaken or completed, all funds must be returned without delay. Awardees must submit an updated W-9 form to the CARe office; CARe will forward the necessary paperwork to the GTU in order to release funds. The Center for the Arts & Religion Writing Prize ($250) recognizes a paper that incorporates artwork, themes, and/or content from a current Doug Adams Gallery exhibition. The paper must demonstrate direct relevance to the exhibition and excellence in writing. Papers should be 1200-1500 words in length, with the author’s name on each page and the word count noted on the upper right corner of the first page. Papers should be submitted to care@gtu.edu. Each paper will be carefully considered by a CARe ad hoc committee. Notification will be provided in 6-8 weeks. Who is eligible? All currently enrolled GTU students. Requirements? The prize winner must present the paper at a Brown Bag Lunch talk (held on the first Friday of each month) or other agreed upon public presentation. The paper will also be featured as a post on our blog, CARe Package. Awardees should reference GTU/CARe in any related presentations and publications. In order to release funds, awardees must submit an updated IRS W-9 to the CARe office. GTU faculty members, are you interested in integrating the arts into your course? Would you like to take your students on a field trip to a museum, concert, performance, or other arts event? CARe is offering $200 Arts Enrichment Grants to help fund tickets, transportation, and other expenses, in order to encourage faculty to add arts activities to their courses. Five grants are available for the Spring 2019 semester. What is the venue you plan to visit; which specific activity or performance will you attend? How will you use this arts enrichment in your teaching? Please attach a course syllabus. Awardees will be required to report on their arts activity with an illustrated post for our blog CARe Package. Please note, this is a lump sum grant and awardees will be required to file a W9 with the GTU. This is not a reimbursement grant, so there is no need to keep receipts for CARe. Field trip expenses do NOT have to equal $200; remaining funding is considered an honorarium.